Need a Chihuahua for a pet mannequin display? Our bespoke dog mannequins are ideal for modelling coats, collars, harnesses and doggy fashion clothing garments. 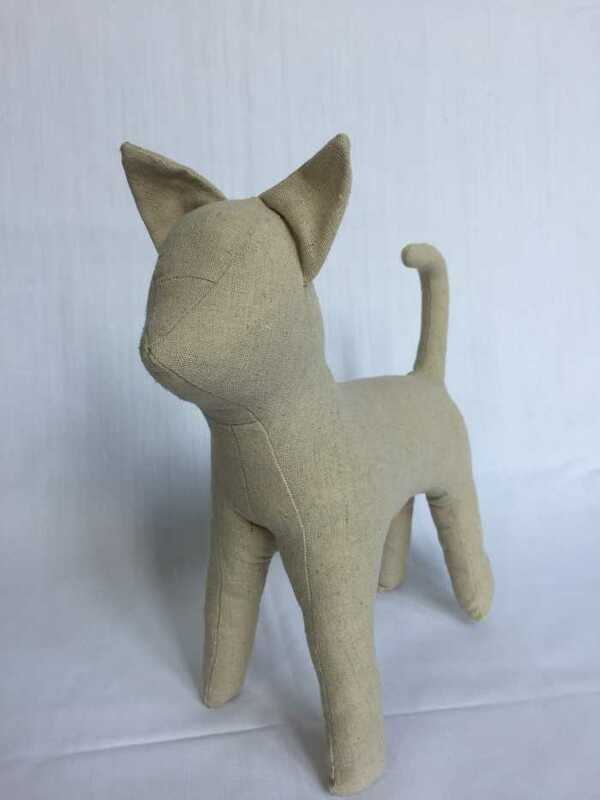 This smallest sized stuffed mannequin dog breed is handmade and manufactured out of 100% cotton fabric. Other options include silk or can be customisable with a fabric of your choice. Ideal for creative shop floor or window displays. Great attraction for children. Note that some measurements may vary due to fabric stretch. Made to order - please allow 2 weeks for delivery due to the nature of this product. Height - 30cm. Animal mannequins enable manufacturers, distributors, wholesalers and retailers to effectively display their merchandise. Made out of quality 100% cotton fabric. A very solid handmade product with weights in each leg for stability. Available in several fabric choices. Please contact us for bespoke pieces. Made to order - please allow 2 weeks for delivery due to the nature of this product.